The importance of open educational resources (OERs) has been widely documented and demonstrated recently. From conferences and declarations dedicated to the support of OERs to the development of resource repositories and other services, there has been a general awakening in the learning community. Countering that trend are some of the challenges surrounding the fostering of a network of OERs. If, as Larsen and Vincent-Lancrin (2005) say, "The open sharing of one's educational resources implies that knowledge is made freely available on non-commercial terms," then this raises the question of how such a network is to be sustained. If resource users do not pay for their production and distribution, for example, then how can their production and distribution be maintained? This short essay is about the sustainability of OERs. Most people, when they think of sustainability, think of how resources are paid for, but this essay takes a wider view, for it should be clear that this is only one part of a larger picture. So we will what they are, who creates them, how we pay for this, how we distribute them and how we work with them. Only if we understand the answers to these questions can we address how OERs are to be sustained. In this we begin with a look at why OERs are desirable in the first place. And it is interesting to note that the primary argument is based on value. In OER communities, write Larsen and Vincent-Lancrin, "the innovation impact is greater when it is shared: the users are freely revealing their knowledge and, thus work cooperatively." (Larsen and Vincent-Lancrin, 2005) Indeed, many authors begin their inquiry by looking at the inefficiency of commercial distribution. Kansa and Ashley, for example, point to statistics showing that only 27 percent of research papers are published, and only five percent of research shared. (Kansa and Ashley, 2005) The value of research data, they argue, increases ten times on openness. We can also understand the benefits of OERs when we look at the impact on the stakeholders in an OER network. (Doyle, 2005) For authors, open publication grants access to the widest possible audience. Studies shows that their articles are cited more frequently. (Open Citation Project, 2005) For readers, open access grants access to an entire body of literature. For publishers, open access guarantees the widest dissemination of the articles they publish. File sharing may actually increase the market for their commercial products. (Oberholzer and Strumpf, 2004) Funders obtain the highest impact for their investment. And universities obtain increased visibility for their scholarship. We can agree at the outset that a network of OERs would be of great benefit to the community, increasing the value of individual resources and increasing the well-being of the community as a whole. But a network of OERs is desirable only if the cost can be borne, not only in terms of funding, but also practicality. Can we pay for it? Can we get the resources produced? Can we ensure effective use? That is what the rest of this essay addresses. In sum, what we will see is that, in addition to worldwide interest in OERs, numerous plans and projects have addressed this question. And while it remains early days in the field, a proliferation of sustainability models has emerged. While it would be too much to hope that all such model will prove themselves in the long run, it is expected that the reader will conclude, with the author, that some of them are well on the way to demonstrating the viability of OERs, and that the question of interest at this point is how best to sustain OERs, toward which some remarks will be addressed at the conclusion of this paper. The term 'resources' is necessarily vague, and even the constraint that the resources in question be 'educational' does not narrow the domain significantly. So it is worth a few words to identify the objects under discussion. Â·	Resources to assure the quality of education and educational practices." Â·	Information resources of the Internet. It seems clear, based on the discussion, that there ought not be an a priori stipulation that something may, or may not be, an educational resource. Such stipulation may only serve to limit discussion unproductively. For example, both HylÃ©n and Johnstone seem to contemplate an environment in which OERs are used primarily in the context of traditional learning employing teachers and courses. But it should be clear that learning extends beyond the scope of formal learning, and hence that resources not used in a formal environment may yet be instances of OERs. For the convenience of taxonomy, though, we may contemplate the domain of OERs in two senses: types of resources, and resource media. The types of resource contemplated may include software (which includes, but is not limited to, learning management systems), papers and monographs, courses, contacts and mentoring, animations, demonstrations, simulations and games. The resource media contemplated may include those included in information and communications technology (ICT), such as web pages and internet services, internet, videoconference, CD-ROM, paper-based materials, radio and television, satellite, and more. Obviously, not all of these are equally viable as OERs. One might ask, for example, how a guest lecturer could be an OER. Or one might point out that the economics of paper-based OERs is very different from those of digital OERs. These are legitimate observations, but the objective here is to preclude prejudgment by stipulation, and hence, any resource that supports education is, at this point, under consideration. There is a great deal of debate extant concerning the definition of 'open' resources. Many authors begin by distinguishing between 'open' resources and 'commercial' resources, but a slight examination shows the paucity of this definition: many resources offered by non-commercial enterprises, such as academic papers published by learned societies, are nonetheless not openly accessible, requiring as they do the payment of a subscription fee for access. And many resources and services offered by commercial enterprises, such as Google search, are widely and freely available without constraint. The emphasis on 'commercial' and 'non-commercial', moreover, allows the definition of 'open' to be stretched in a manner that would discomfort many advocates. For example, Ed Walker (2005) defines 'open' as "convenient, effective, affordable, and sustainable and available to every learner and teacher worldwide." Or Sir john Daniel, who speaks of "The 4 As: accessible, appropriate, accredited, affordable." (Danial, et.al., 2006) A critic would note that there is a significant difference between 'affordable' and 'free', a difference that stretches too far out concept of 'open'. Everyone would agree that gumballs (which sell for one cent) are for almost everyone 'affordable', not nobody would suggest that the gumball market is therefore 'open'. Â·	Freedom to redistribute modified versions." It is not clear that resources which require some sort of payment by the user - whether that payment be subscription fees, contribution in kind, or even something simple, such as user registration, ought to be called 'open'. Even when the cost is low - or 'affordable' - the payment represents some sort of opportunity cost on the part of the user, an exchange rather than sharing. The requisite of payment not only imposes overhead on the distribution of the resource, mitigating the value of the resource, as described above, it predisposes access to (and therefore design of) the resource to those willing to obtain the resource instead of some other sort of asset they could purchase with the same money or effort. That said, there appears to me no consensus that 'open' means 'without limitation whatsoever'. Some rights may be retained by the author of the resource, as Doyle suggests. In the system implemented by Creative Commons (widely thought to be representative of an 'open' license) authors may stipulate that use requires attribution, that it be non-commercial, or that the product be shared under the same license. So while 'open' may on the one hand may mean 'without cost', it doesn't follow that it also means 'without consitions'. It is commonly pointed out that even though a resource may be free for the consumer, it does not follow that the resource is free, in the sense that it nonetheless costs something in funding or services to create and distribute a resource. Consider, for example, the Stanford Encyclopedia of Philosophy, an open learning resource made freely available on the internet. According to Zalta (2005), this service costs roughly $US 190,000 to provide. The bulk of the costs are in staffing ($US 154,300) with contract programming, travel and office expenses, computer services and overhead taking up the rest. This is a small amount compared to what it may cost to mount a full-fledged resource. Beshears (2005) outlines the costs facing the United Kingdom Open University (UKOU), which, he notes, spends a average of $US 3 million per course on content development. They have over 200 undergraduate courses in their inventory, which represents a total investment of $US 600 million, 40 percent of their budget. At an average eight year depreciation for courses, this represents an ongoing development cost of $US 75 million per year. It becomes clear that by 'sustainable' we cannot mean 'cost free', and indeed, we may be forced to agree with Walker (2005) that the production of OERs may entail a large scale investment. Rather, with Walker, we note that by sustainable we must mean "'has long-term viability for all concerned' - meets provider objectives for scale, quality, production cost, margins and return on investment." This is significant: for after all, if the consumer of a resource obtains the resource for free, then the provision of the resource must be sustainable (whatever that means) from a provider perspective, no matter what the benefit to the consumer. Calculations of sustainability need to consider much more than merely the cost of the resource. Anciallary costs, such as staff training to use a resource, are often overlooked. (COL, 2004) This is why, in comparisons of open source and commercial software, calculations are often expressed in terms of 'total cost of ownership' (the make-up of which varies, depending on who is asked). Other providers may have different objectives. As a Commonwealth of Learning report notes, providers in Australia would not say that offering distance learning is cheaper, because the way it is practiced in Australia, it is not, however, Australia does not use distance learning to save money but for other reasons (for example, enabling people to learn in their own communities). (COL, 2004) Thus 'sustainable' in this instance may mean not merely financially cheaper, but capable of promoting wider objectives. These non-economic definitions of 'sustainable' should not be dismissed lightly. Foundations supporting OERs, such as the Hewlett Foundation or the Wellcome Trust, incur a net loss, as funding activities are not (obviously) revenue generating. Much of the work done in the field of open source software also reflects alternative objectives; the point behind the slogan, "Free as in freedom," is to underline the idea that the distribution of open source software meets important social objectives. "'Free software'' is a matter of liberty, not price. To understand the concept, you should think of 'free' as in 'free speech,' not as in 'free beer.''' (Free Software Foundation, 1996) It is possible that 'free speech' may one day be found to result in a net loss economically, but it would be hard to find people who would abandon it on those grounds. What constitutes 'sustainable' is unlikely to be reducible to a single metric or calculation; it will ultimately depend on the economies and the objectives of the provider. This may well explain why, as we shall see, there are many models for sustainable OERs. This indeterminacy, though it may raise difficulties for economists, may nonetheless be a good things. It may allow many organizations in many ways to see OERs as 'sustainable' even in cases where a broad social consensus does not exist. As mentioned above, a variety of OER projects have been started in recent years. These have originated from governments, from foundations and organizations, and from groups and individuals. Each of these projects must be financially supported in some fashion, but no single model has emerged as predominate. This section reviews a variety of the models currently in use. Membership Model - on this model, a coalition of interested organizations is invited to contribute a certain sum, either as seed only or as an annual contribution or subscription; this fund generates operating revenues for the OEM service. The Sakai Educational Partners Program, for example, is a for-fee community that is open to educational. Members contribute $US 10,000 and in turn are granted a set of privileges, including early access to roadmap decisions, code releases and documentation. (Sakai, 2005) Beshears (2005) describes how this model could replace user-pay models of textbook distribution. Conversion Model - as summarized by Sterne and Herring (2005) "In the Conversion model, you give something away for free and then convert the consumer of the freebie to a paying customer." This approach, they argue, is needed because "there is a natural limit to the amount of resources the Donation model can bring to an open source project, probably about $5 million per year." Linux distributors, such as SuSe, RedHat and Ubuntu, where the software is available for free under an open source license, have adopted this model. Subscribers receive services (such as installation and support) or advanced features. In the educational community, the conversion model has proven popular, having been adopted by Elgg and LAMS. Governmental Model - similar to the institutional model, the governmental model represents direct funding for OER projects by government agencies, including the United Nations. Numerous projects sustained in this manner exist, for example, Canada's SchoolNet project. In the preceding section, it was noted that what constitutes 'sustainable' will ultimately depend on the economies and the objectives of the provider. In this section, we see the this reflected in the multitude of funding and financing models. In some cases, direct funding is provided by organizations who see OERs as constituting part of their mission, while in others the free distribution of OERs may promote or support different objectives, including commercial objectives. In some cases, the resources providers themselves believe that the OERs are important enough to fund, either directly or through fund-raising efforts, while in other cases the resource providers are able to obtain the support of third parties. In some cases, funding is applied directly to operating expenses, while in others funding offers seed capital or even a sustainable endowment. Each of these approaches reflects the interests of the funding party, the needs and the motivations of the resource producers, the nature and expense of the project, and the level of funding available. A consideration of the sustainability of OERs would be incomplete without at the same time considering how the development and distribution of OERs is to be accomplished. As is the case in so many initiatives, merely securing the funding for the project does not ensure sustainability; it is expected and often required that the resources thus funded will be useful, and the manner in which this is accomplished could have a significant effect on the level of funding needed and received. In the field of OERs, financial considerations have driven technological development. The widely touted concept of the `learning object' was driven, at least in part, by the hope that sharable and reusable learning resources would reduce the cost needed to produce them. (Downes, 2001) This, in turn, imposes requirements on the nature of OER design; as Walker (2005) argues, it requires interoperability between data, software and services. Friesen (2001) suggests therefore that learning objects must be discoverable, modular and interoperable. Â·	Resources are downloaded, adapted, and sent back to the system repository for vetting and potential use by others. It is noted (in UNESCO, 2002a that translation is part of adaptation, not a separate function. It is also noted that in order to effect these and other recommendations, an appropriate level of user registration may be indicated. Access and usability are also important considerations. The development of an OER network will require tools for access, including browsing, search and data-mining, syndication, and even resources such as a virtual speakers bureau (Hanley, 2005) Such considerations also comprise mechanisms to assist dissemination, adaptation, evaluation, and use of open courseware materials. For example, in UNESCO discussions of OERs (UNESCO, 2002a) participants suggested the establishment of a Global Index System, the purpose of which is to help potential users to find courseware and then to make it easily accessible. Questions of quality are also frequently raised, as learning resources are expected to be trusted and authoritative. Consequently, the Global Index System just mentioned would be based on vetting by a volunteer group acting as an editorial board. It was suggested that a feedback loop should be established for evaluation and distribution of lessons learned in the process of developing and using open courseware. These discussions also raised the need for training and capacity building around faculty needs. Â·	Resources should be stored in distributed databases. Â·	They may be downloaded from there for adaptation or use. Â·	There will be one centrally maintained index of resources. Â·	The index will include a full history of the provenance and use of the resources as well as users' feedback and comments. Numerous OER repository projects exist, including MERLOT, NSDL, CAREO, and more. Additionally, various repository software projects have been undertaken, including the Open Archives Initiative, DSpace, and eduSource. 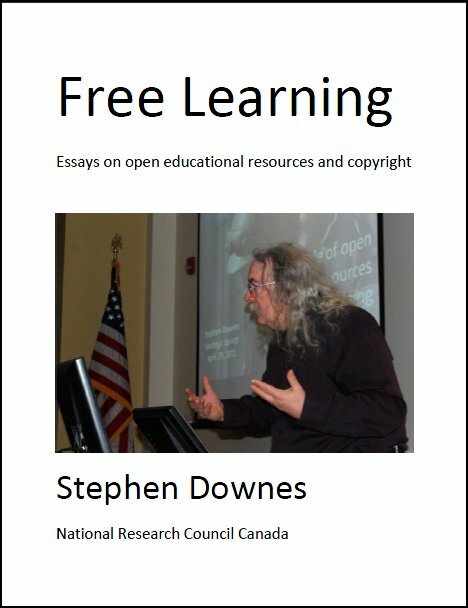 It is worth noting that resources stored in repositories, even those just listed, may not be open educational resources; some repository projects, such as Advanced Distributed Learning's CORDRA project, often include access controls and even digital rights as part of their core functionality. The nature of the content being developed will impact its sustainability. A book may be useful for decades or even centuries, but courses may have a much more limited lifespan, as little as eight years or less. (Beshears, 2005) Moreover, the nature of educational resources may impact how they can be used and reused - a digital image may be pasted into a document, but a book cannot be (unless the book is digitized and the content format permits it). While reusability is on the one hand a technical matter (and is therefore discussed in the preceding section) it is also at the same time a content question. For example, `reuse' means, in a certain sense, an integration into an existing context of use, which in turn raises questions of meaning and vocabulary. Students educated in a standard (Peirce) logical notation, for example, will be faced with difficulties if presented with a logic text that employs exclusively Polish notation. In the description of learning resources the difficulty of meaning and representation arises in discussions of datasets and metadata. Hence, for example, in order to support reuse, it was necessary for ÃxatalhÃ¶yÃ¼k, a multidisciplinary project in Turkey to reduced more than 124 related tables into a much simpler structure of 8 related tables. (Kansa and Ashley, 2005) Such processes - especially with respect to data schemas and canonical vocabularies (a process called `crosswalking') is neither easy nor trivial, and pose challenges to educators. Another type of content issue concerns the license associated with the resource (a matter that has been alluded to above). It is worth noting that one of the major expenses faces in MIT's OpenCourseWare project was the clearing of licenses for all materials used, even though they did not pay royalties or use commercial content for any of it. (Downes, 2002) Numerous licensing schemes exist, including Creative Commons and the Gnu Public License. Â·	Does the published material remain the property of the person who produced it? Â·	Can authors request material to be removed from the user site? Â·	Can material be updated or amended only upon author approval? Â·	Can content be exclusively used by non-profit educational organizations, or can for-profit institutions have access? The question of modification and adaptation has raised considerable interest among those discussing OEMs. As Mason (1994) summarizes, "The accusation of cultural imperialism has long been levelled at attempts to export courses outside national boundaries, particularly as most of the examples involved Western institutions providing courses for Third World countries." Co-development is emerging as an important aspect of OEMs. (DiakitÃ©, 2002) Johnstone writes (2005), "The real vision for OER is the sharing in all directions of resources and approaches to teaching, not just North to South. When universities in Brazil put their medical journals online a few years ago, the number of citations by non-Portuguese speakers rose dramatically." What is needed, argues Keats (2003), is a process model. "Given the cost of content, the under-resourcing of universities and the scattered nature of expertise in Africa, the collaborative development of open content seems like a useful way to get high-quality, locally-relevant content for using to enhance teaching-and-learning." This, in turn, suggests that it will be important to think of OERs not in isolation, but with respect to the community that accesses them and uses them. Or as Stephenson (2005) explicitly suggests, "Open Content + Community = Open Course." Hence, the development of a sustainable open content community is an integral part of the development of a network of OERs. This, in turn, reflects a different set of technical and support needs. As Stephenson describes this shift in emphasis, "As our thinking developed it became clearer that in many parts of the world, where transport, telecommunications and the numbers of qualified people available to teach at a relatively local level are seriously constrained, many students are left to rely on their text materials alone. Our thinking then has developed to encompass the importance of tutorial support from within the learning materials whether these are print, web-based, or through the use of audio/video tapes and broadcasts." This raises a set of new considerations when the sustainability of such initiatives is considered, as sustainability is now no longer merely ensured through appropriate payment. The incentives of volunteer staff are very different from those working for a paycheque. These non-financial incentives often require that the act of sharing resources take place in a community, as many of the factors that motivate sharing may only be produced within a community. Indeed, it could be argued that without an extant culture there's no motivation to share. (Fox and Manduca, 2005) A potential contributor would not feel a professional obligation to share, and perhaps more importantly, would not have personally experienced the value of sharing. Volunteers, moreover, need organizing, and the form of organization must be such that it recognizes and promotes the volunteers' motivations for sharing. Thus, as Horton (2005) observes, a volunteer organization needs a clear overall vision, strategy, and roles for participants. For example, consider the manner in which the Apache Foundation - an explicitly self-styled "meritocracy" - organizes its volunteer staff (Apache, 2005). In addition to a lengthy list of vice presidents responsible for different products, volunteers serve roles varying from "developers' to "committers" to "users". Members who have developed significantly may become a "PMC member [which] is a developer or a committer that was elected due to merit for the evolution of the project and demonstration of commitment." These systems, thought of in combination, could be thought of as forming an Ecosystem Model (Stephenson, 2005) where "those creating, using and improving open content form an ecosystem." As the discussion thus far has illustrated, the sustainability of an OER network is based not simply on financing but on a number of inter-related factors, including funding, technical considerations, content models and even staffing. Yet at this point two approaches may be discerned, which while they are not as sharply demarcated as may be suggested here, nonetheless paint in broad relief the choices faced. On the one hand, OERs may be supported using what might be called a producer-consumer model, where the support for OERs consists in support for production and distribution to a consuming population; such an approach is more likely to be managed centrally, to involve professional staff. There is more control over quality and content, but such approaches require greater levels of funding. On the other hand, OERs may be supported using what might be called a co-producer model, where the consumers of the resources take an active hand in their production. Such an approach is more likely to depend on decentralized management (if it is managed at all), may involve numerous partnerships, and may involve volunteer contributors. There is little control over quality and content, but such approaches require much less funding. Â·	Equip ourselves with human and technological capabilities to contribute to open course ware development in a globalised competitive context? Â·	Develop the skills of adaptation of open courseware to suit the local requirements? Â·	Build in elements of culture sensitivity in open courseware? Â·	Address the question of language especially in the multi lingual contexts Integrate the processes and outcomes of open courseware? At each of these steps, the two models considered in the previous question may be considered. Consider, for example, the production and selection of learning materials for use (what might be seen as the first two steps). We need to rethink the idea of `producing' OERs at all. We need to rethink the workflow just described. Rather than think of each of these five steps as something that is done for learners, and supported through some sort of sustainable (or commercial) program, we need to think of each of these five steps as something that learners do for themselves, and indeed, that any act of learning consists in exactly these steps. "How do we keep funding activities whose main purpose is to be free of charge once foundation funding goes away? It seems like we may be approaching the problem backwards somewhat. I think everyone is looking for huge funding to support huge projects. It seems to me that sustainability and scalability are problematic only when people rely on others to do things for them (e.g., when a site gets slashdotted). Scalability and sustainabilty happen more readily when people do things for themselves (e.g., the same content distributed by bittorrent). Centralizing open educational services is less scalable / sustainable. Decentralizing them is more scalable / sustainable. Wikipedia has two employees and well over a million articles in multiple languages. We need to learn this lesson if open education is really going to reach out and bless the lives of people." In the context of this discussion, what this means is that the functions of production and consumption need to be collapsed, that the distinction between producers and consumers need to be collapsed. The use of a learning resource, through adaptation and repurposing, becomes the production of another resource. Though there is a steady stream of new resources input into the network by volunteers, this represents, not the result of an OER sustainability project, but the beginning of it. Though there is great temptation to depict the sustainability of OERs in terms of funding models, technical models or even content models - and no shortage of recommendations regarding how each of these should proceed - it seems evident that any number of such models can be successful. But at the same time, it also seems clear that the sustainability of OERs - in a fashion that renders then at once both affordable and usable - requires that we think of OERs as only part of a larger picture, one that includes volunteers and incentives, community and partnerships, co-production and sharing, distributed management and control. Beshears, Fred. The Economic Case for Creative Commons Textbooks. Utah: 2005 Open Education Conference. http://cosl.usu.edu/media/presentations/opened2005/OpenEd2005-Beshears.ppt (slides) and http://www.archive.org/audio/audio-details-db.php?collection=opensource_audio&collectionid=TheEconomicCaseforCreativeCommonsTextbooks (audio). Kansa, Eric and Ashley, Michael. Embedding Open Content in Instruction and Research. Utah: 2005 Open Education Conference. http://cosl.usu.edu/media/presentations/opened2005/OpenEd2005-Kansa.ppt (slides) and http://www.archive.org/audio/audio-details-db.php?collection=opensource_audio&collectionid=OpenEd2005EmbeddingOpenContentinInstructionandResearch (audio). Views Today: 0 Total: 1250. Last Updated: Aug 20, 2018 6:30 p.m.